Includes interchangeable hands, a removable eye bandage, and multiple weapons! 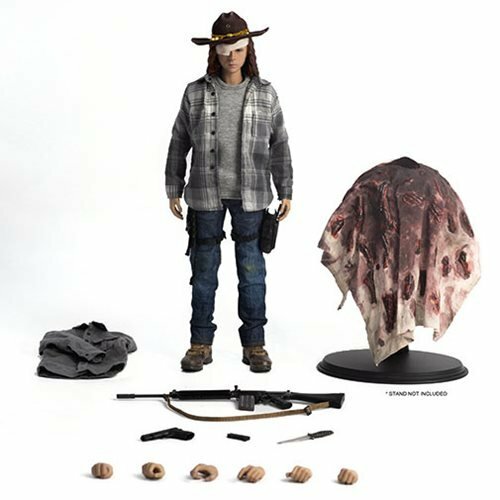 From the Walking Dead TV series, comes fan-favorite Carl Grimes as this extremely detailed The Walking Dead Carl Grimes Deluxe Version 1:6 Scale Action Figure. 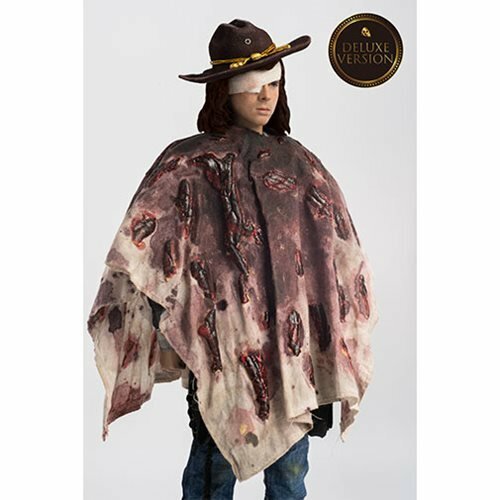 With a head sculpt featuring a realistic likeness of actor Chandler Riggs, Grimes stands about 11 1/2-inches tall and is articulated in tailored cloth clothing. The right eye bandage can be removed to see his missing eye from an errant gunshot. 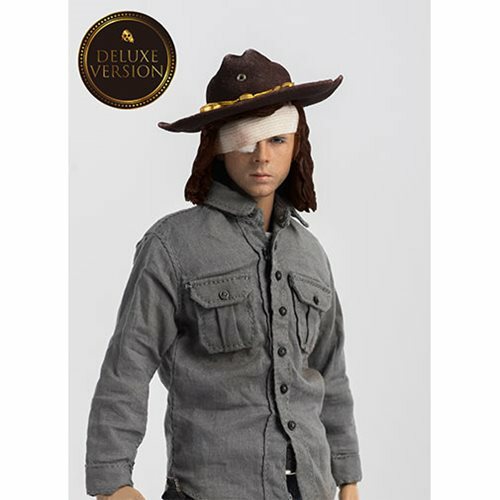 Carl comes dressed in his hat, gray long-sleeved shirt, T-shirt, jeans, belt, and shoes. His accessories and weapons include a pistol with holster, an assault rifle, a knife with sheath, a bloody poncho, and 3 pairs of interchangeable hands (relaxed, fist, and hands for holding weapons)! "No wonder you cover that up. Have you looked in the mirror? That is gross as hell."